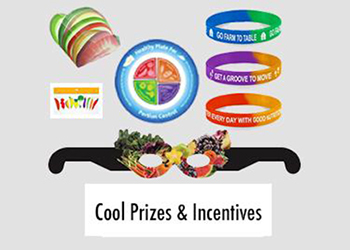 Celebrate June as Fresh Fruit and Vegetable Month by solving these riddles. 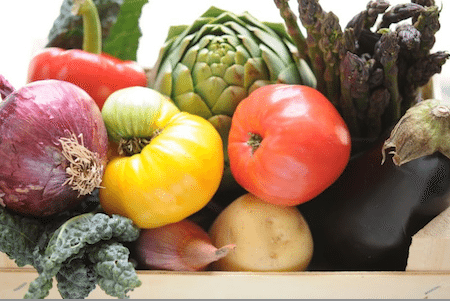 The answers just happen to score among the top 20 fruits and vegetables for antioxidant power, as measured by the ORAC (Oxygen Radical Absorbance Capacity) method. 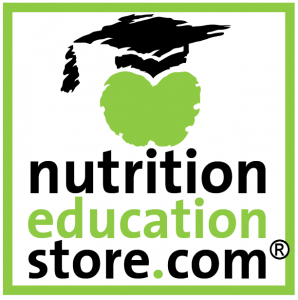 The ORAC test is one way researchers determine the antioxidant activity of foods. After you solve the riddles, stock up on fresh fruits and veggies. 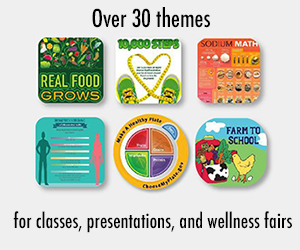 Summer is the easiest time to follow MyPlate's advice and fill half your plate with fruits and vegetables. After all, so many fresh fruits and veggies are in season and at their peak of flavor. You love me in a muffin and as dessert, too; small, plump, and juicy, my color is blue. Watch out for thorns when you pick this treat; it's a berry, black and sweet. They call me the “stinking rose;” vampire-slayers wear me under their clothes. Wind, snow, sleet, or hail, try a leafy green called _____. Breakfast, lunch dessert or dinner, I'm a popular red berry that's sure to be a winner! 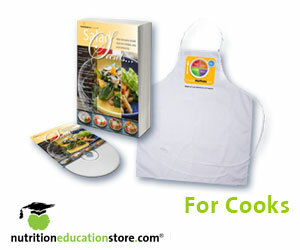 Here's a leafy green that’s tried and true; try it raw or even cooked too. This “baby cabbage” is named for a city in Europe; don’t wrinkle your nose, just eat it up. 8. Eat this for breakfast, lunch, or snack; or eat it in a corner, just like Jack. I’m a handsome white vegetable that's actually a flower. I remind you of broccoli and bring great phyto-power! People eat its green flowers, which are oh so delicious; here's the most popular veggie cruciferous. Red and sweet, I’m a vegetable treat. In popularity, I’m number three; only apples and bananas are eaten more often than me. Red or green, this grows on a vine Besides a great snack, it makes raisins and wine. My cousins are hot, but I’m red and sweet. On tacos and salads, I can’t be beat. Small, round, and juicy, I’m no berry. Life’s the pits without a _____. A fuzzy brown bird gave this one its name. With its pretty green color, fruit salad will never be the same. Don’t go on a diet just to eat me. I’m a citrus fruit that’s tasty as can be! I make you cry but you’re not sad. Peel me and use me -- your heart will be glad. Canned, popped, or on the cob, here's a little kernel that can do any job. Named for an egg, classed as a berry, I'm a purple veggie that will make your heart merry. Answers: 1. Blueberry, 2. Blackberry, 3. Garlic, 4. Kale, 5. Strawberry, 6. Spinach, 7. Brussels sprouts, 8. Plum, 9. Cauliflower, 10. Broccoli, 11. Beets, 12. Orange, 13. Grapes, 14. Red pepper, 15. Cherry, 16. Kiwi fruit, 17. Grapefruit, 18. Onion, 19. Corn, 20. Eggplant. 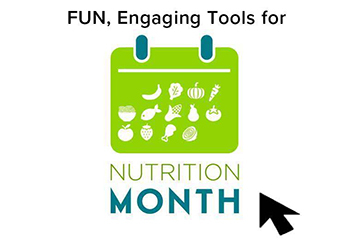 Looking for fun ways to celebrate Fresh Fruit and Vegetable Month? 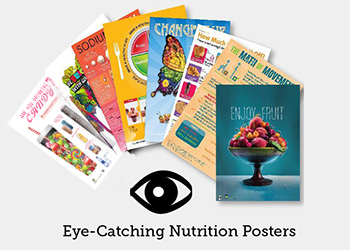 Check out our Nutrition Education Store for fantastic posters, handouts, games, presentations, books, and more!